Alan Freeland, a partner of Cooper, White & Cooper LLP, focuses his practice in three principal areas: transactional business law representing limited liability companies, corporations, and general and limited partnerships in their formation and day-to-day operations; real estate law representing retailers, property owners, developers, contractors, and design professionals with emphasis on commercial real estate transactions; and intellectual property law representing publishers, authors, and designers. In his transactional business law practice, Mr. Freeland negotiates a broad array of arrangements including employment, independent contractor, and agency agreements, service and consulting agreements, purchase and sale contracts for complex industrial and electronic equipment, and a wide range of communications, technology, and software agreements for cellular and privately owned telephone companies. In his real estate practice, Mr. Freeland has primary responsibility for all legal aspects of formation, completion, and operation of major retail developments such as One Rodeo and Two Rodeo in Beverly Hills and One Colorado Boulevard in Pasadena (acquisition, development, commercial and retail leasing, financing, construction, store buildout, and management). He also negotiates collateral project agreements such as theater and restaurant tenancies and contracts to acquire and install art and sculpture in such developments. Mr. Freeland negotiates intellectual property agreements for vendors, licensors, and purchasers, including licensing and sublicensing agreements for retail products, agreements with respect to the development of retail products, and collateral licensing agreements with respect to those products. Mr. Freeland has spoken before the California Telephone Association, Western Rural Telephone Association, American Newspaper Publishers Association, California Newspaper Publishers Association, and the Association of American Publishers on real estate and transactional topics. 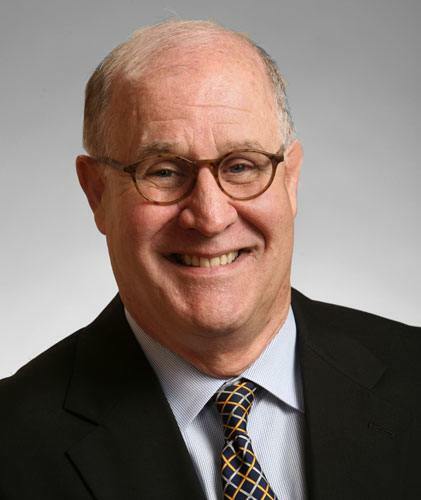 Mr. Freeland is one of three authors of Americans with Disabilities Act: A Practical Guide for Employers (CEB 1992) and is co-author of “Public Access Considerations Under the Americans with Disabilities Act,” California Business Law Practitioner (Fall 1991). He is a member of the American Counsel Association, the Real Property Law, Intellectual Property, and Business Law sections of the State Bar of California and the Taxation section of the Bar Association of San Francisco. Mr. Freeland received his B.A. degree in English from the University of Massachusetts in 1962, served as a captain in the United States Air Force, earned his J.D. degree from Georgetown Law School in 1969, and then joined Cooper, White & Cooper LLP.